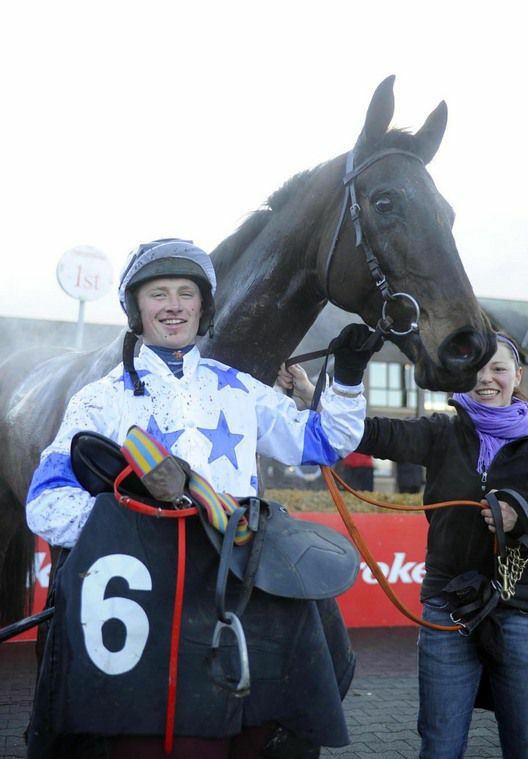 PUNCHESTOWN 20-1-2010.Jockey and Trainer with KYLEBEG KRYSTLE after they won.Photo HEALY RACING. Tipperary Thu, 25th Apr, 2019 Hathiq A big thanks must go to the agents James and Stephen McAuley who go to these sales and sometimes I wonder what they do be buying! . They do all the spotting at the sales and do good work. They don't fork out big money and are cute and bought this lad for 3,000 pounds and he's now after winning a E25,000 pot!. He works smart and is all speed and he could be a Rockingham horse or those Curragh races. We enjoyed those days with Tithonus and hopefully he can be something like that. He had pelvis problems before he came to us. Leopardstown Wed, 3rd Apr, 2019 Atlas he's a tricky old horse and his stats show that. I was a little bit worried about the ground going out as the rain is getting into it a bit. He's a top of the ground horse but he did it well at the finish. He's a very capable horse but he just needs things to fall right. He usually needs a couple of horses in front of him to falter. Today they didn't stop but he was just on song and everything happened right.